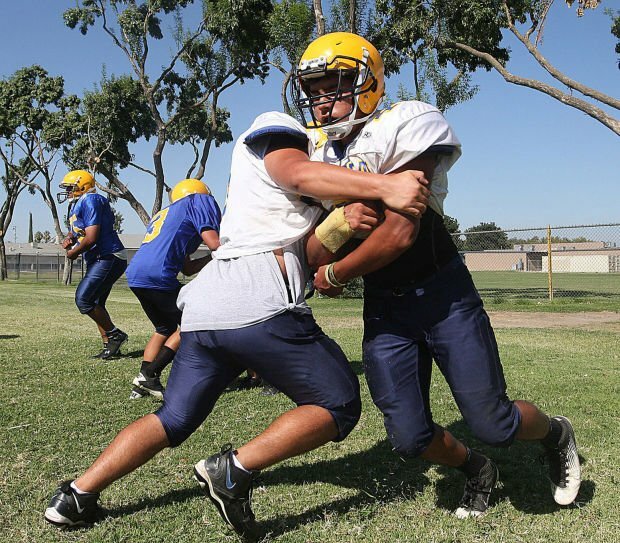 CORCORAN - No Kings County team went further into the 2012 Central Section playoffs than Corcoran. It’s something the Panthers have grown accustomed to in recent years. Corcoran goes into 2013 after advancing to the Central Section Division V championship game for the fourth time in the past six years. The standards in Corcoran have been set. Finishing 7-6 last season, Corcoran rebounded from a 1-4 start to make a late postseason run that ended with a 35-12 loss to Liberty (Madera Ranchos). Lane thinks the Panthers can contend once again. Led by returning quarterback Nico Portillo (69 of 128 passing, 950 yards with 14 touchdowns and 8 interceptions) and running back/linebacker Kaleb Toone, the Panthers will have size on both sides of the ball and some deep threats for Portillo to toss to. Last year, the Panthers ground out victories with a tough defense and a pair of 1,000 yard rushers in Paul Johnson and Toone. And this year, it’s Toone that will lead the rush attack of an offense that will look to take to the air a little more. On the line, Corcoran will be anchored by Dustin McBride and Anthony Anaya with each, Lane said, coming in at 6-3 and 270 pounds. “We’ve never had a pair of guys with the combination of size and strength that they have,” Lane said. Toone had 175 carries for 1,329 yards and 10 touchdowns on offense. He also tallied 10 sacks on defense. Lane expects newcomer Riley Melk to help out at running back and linebacker, with Chris Alcantar and Brandon Willett leading the secondary. Willett is also the team’s top returning receiver after catching 11 passes for 184 yards in 2012 with three touchdowns. 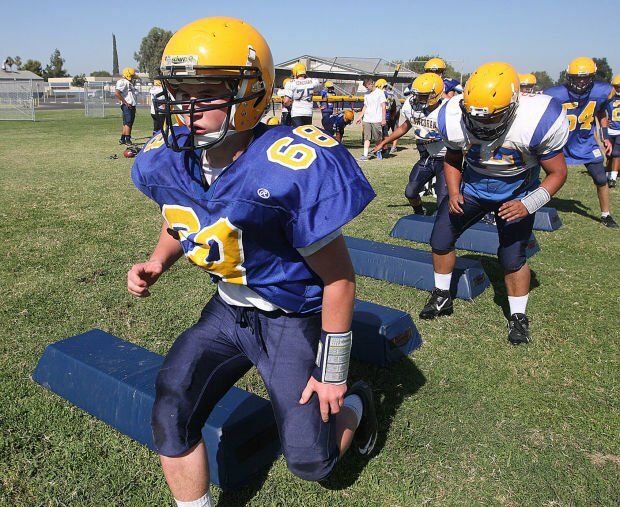 Toone, who was a All-East Sequoia League selection on offense and defense, sees the differences in this year’s team compared to the runner-up team in 2012. Having come so close to a title last year, Toone is just one of many Panthers that don’t want to fall short again.